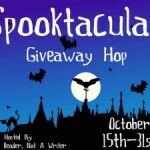 Guest Post by Author David Litwack on The virtual world of gaming and the plight of war veterans + Giveaway – Escape Reality, Read Fiction! I’ve always been fascinated by how we perceive reality, each of us bringing our own experiences and biases into play. But when we’re ripped from our normal lives and placed in extreme circumstances, our reality becomes totally fragmented. Such is the case with hospitals and war. Then, a couple of years ago, I became engrossed in the online game, World of Warcraft, thanks to my son. I’m on the east coast and he’s on the west, so we’d meet every Wednesday evening in the virtual world of Azeroth, where our avatars would go on quests together. I was struck by how immersed I became in the mood of the game as we wandered through castles and crypts, solving riddles and vanquishing demons. The fantasy gaming experience has a dream-like quality to it. And I began to wonder: how would this experience affect the dreams of someone whose reality has been fragmented by war? These concepts—war, hospitals, and the fantasy world of online gaming—came together in my new novel, Along the Watchtower. I began to research the effects of war on returning veterans. 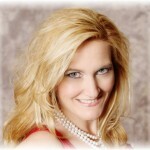 I learned that 30% are diagnosed with Post Traumatic Stress. That means after six months they’re still dealing with flashbacks, disturbing dreams, depression and difficulty re-assimilating into their former lives. And that doesn’t account for the many others who are seemingly able to adjust but continue to deal with inner turmoil. The war experience changes them all forever. Many have suicidal thoughts (the suicide rate among veterans is triple that of the general population. More soldiers have died by their own hand than in the war itself). Many struggle with dark thoughts and have difficulty forming relationships, unable to “turn off” the normal flight or fight syndrome, leaving them suspicious in crowds and always on alert. And then, there are the physical injuries. One of the ironic successes of these recent wars is the advance in battlefield medical treatment. The result is that far fewer die of wounds than in prior wars. The ratio of wounded to dead in WWII was 1.1/1, in Vietnam 1.7/1. In Iraq, it’s 7/1. More are saved, but more come home with debilitating, lifelong injuries. And 68% of the wounded have some form or brain trauma, penetrating injuries from shrapnel or non-penetrating concussions from the blasts of IEDs. 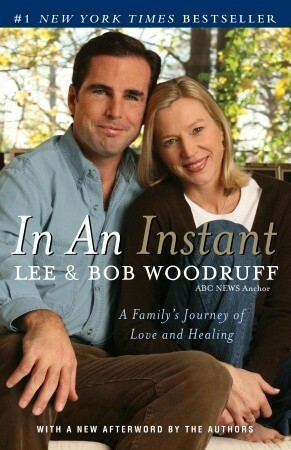 To learn more about brain injuries, I read In an Instant, the story of Bob Woodruff. The brilliant Woodruff had just been named co-anchor of ABC’s World News Tonight. Then, while embedded with the military in Iraq, an improvised explosive device went off near the tank he was riding in. Bob suffered a traumatic brain injury that nearly killed him. 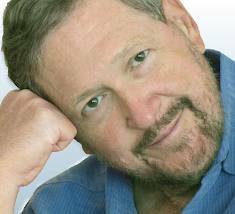 The book describes his recovery and recounts how fragile the human brain can be. At one point, the erudite Woodruff could rattle off the names of all prior U.S. presidents but couldn’t remember the names of his own children. And I read about post traumatic stress. 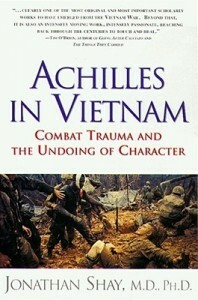 One of the best books is Achilles in Vietnam. Written by Jonathan Shay, a Vietnam War era PTSD counselor, it compares his clinical notes from patients to the text from Homer’s Odyssey, showing how we as human beings have dealt with war trauma across the millennia. He shows how war fragments our sense of reality and disrupts our moral compass, leaving re-entry into normal life as a brutal and agonizing experience. Playing a make believe fantasy game and going to war both have a surreal quality that takes us out of our normal reality. But for war veterans, the sense of normality doesn’t return without a struggle. The Wounded Warrior Project is a wonderful organization, dedicated to helping veterans adjust. Their stated mission is: “To foster the most successful, well-adjusted generation of wounded service members in our nation’s history.” How successful we’ll be at achieving that goal will tell a lot about who we are. It’s one of the most important stories of our time. About David LitwackThe urge to write first struck when working on a newsletter at a youth encampment in the woods of northern Maine. It may have been the night when lightning flashed at sunset followed by northern lights rippling after dark. Or maybe it was the newsletter’s editor, a girl with eyes the color of the ocean. But he was inspired to write about the blurry line between reality and the fantastic. Using two fingers and lots of white-out, he religiously typed five pages a day throughout college and well into his twenties. Then life intervened. He paused to raise two sons and pursue a career, in the process becoming a well-known entrepreneur in the software industry, founding several successful companies. When he found time again to daydream, the urge to write returned. There Comes a Prophet, the first novel in this new stage of life, was published in July 2012. 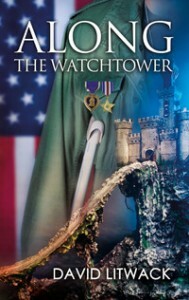 His second, Along the Watchtower, was published in June 2013. David and his wife split their time between Cape Cod, Florida and anywhere else that catches their fancy. He no longer limits himself to five pages a day and is thankful every keystroke for the invention of the word processor. 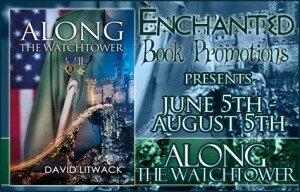 To learn more about David, visit his website or follow him on Facebook and Twitter. Pingback: The Sunday Post AKA What’s On My (Mostly Virtual) Nightstand 7-7-13 | Escape Reality, Read Fiction! Marlene has read 0 books toward her goal of 250 books. Proudly powered by WordPress | Theme: readingreality by Underscores.me.